Oh the weather outside might be frightful, but this kitty is so delightful! 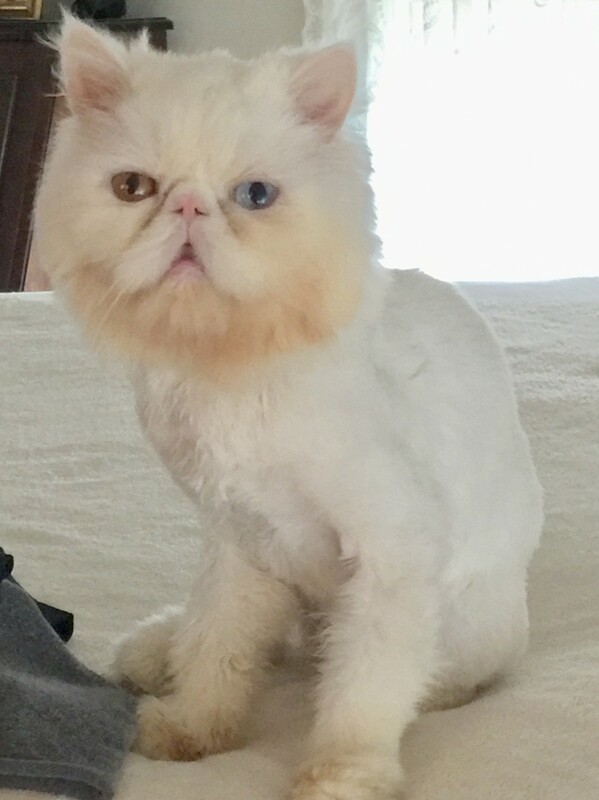 Donovan is a lovable WHITE PERSIAN. 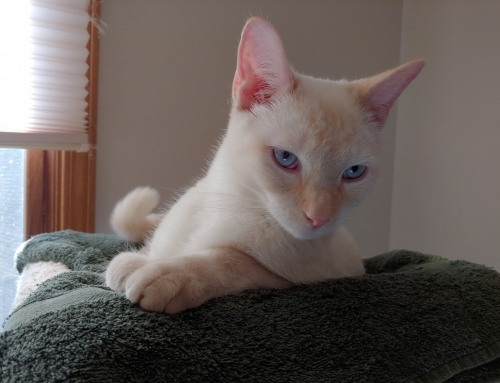 He is thought to be about 4 years old, has beautiful bicolor eyes (one sky blue and the other a deep amber), weighs about 8 pounds, has his claws and is neutered, up-to-date on vaccinations and microchipped. You may recognize Donovan from his earlier posting on our site. He was adopted by a wonderful family who loved him very much. Unfortunately, a member of the family developed an allergy to cats that was unknown when they adopted him. They were very sad to have to return him to us, but felt that was the best decision. So he is back with his foster family looking for a new forever home! Donovan is a very outgoing, loving cat. He thinks everyone is his friend (or should be)! He likes to sit on your lap for pets and will often fall asleep there. He also loves to be picked up and carried around, wanting to be carried up high on your shoulder to get the best views. Sometimes he’ll even sit on your shoulder, if you let him, just to enjoy the ride. He’s playful and has his spunky moments. He loves to eat and of course nap. He doesn’t mind having his claws trimmed or being brushed. He doesn’t even mind getting his face washed or having a bath! That’s a great plus, because as a flat-faced Persian he will require daily brushing and face/eye cleaning, which is typical for this breed. He uses his litter box 100% and does use scratching posts. 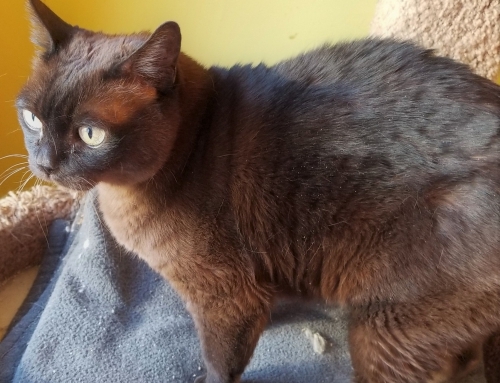 Donovan is fine being in a home with other cats, but because he is a confident boy he occasionally tries to be king of the castle. So he would do best in a home where the other cat(s) basically ignore him. Because once Donovan realizes that isn’t going to get him anywhere he stops trying. He should be fine with a dog or two that have lived with cats before and wouldn’t chase him. Donovan would be happy being an only pet too! 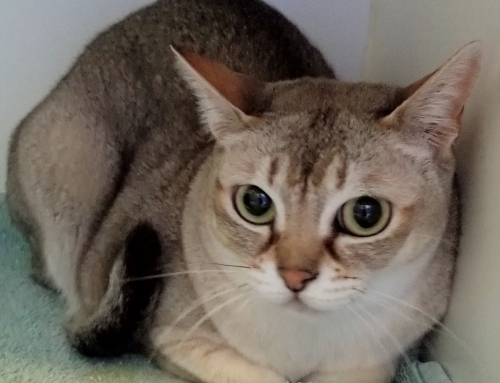 , but he’d like that even better if someone were home with him at least a little bit during the day as well as at night, since he likes the company and a lap to sit on! He’d be fine with older kids (at least 10 years of age) that have lived with cats before. 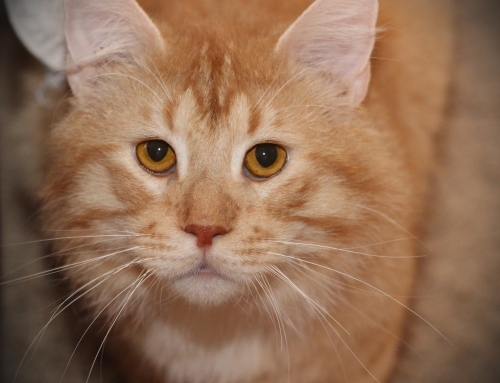 Donovan would do best in a home that has experience with Persians or other long-haired breeds. But he really just wants to find someone or family to share his love with. Adoption Fee $350. Fostered in Wauwatosa WI.